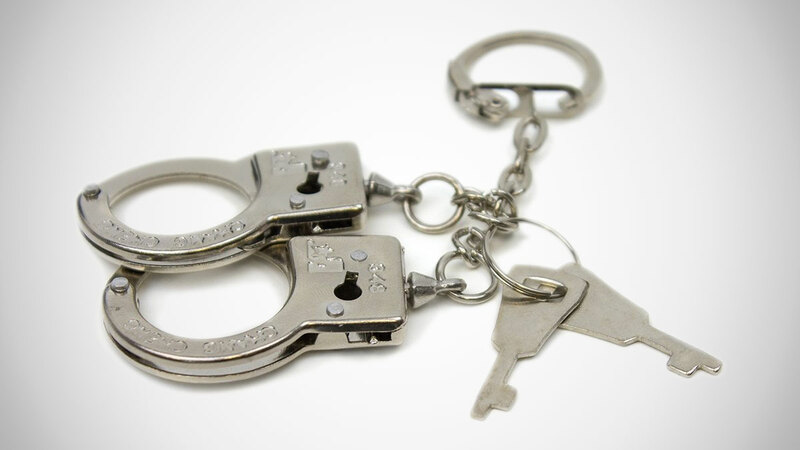 OK, this keychain has more like mini handcuffs than true thumbcuffs dangling from it. But as handcuffs they'll only lock over, say, the 2 front legs of a Shih Tzu on the run from ripping off the canine CBD store. And as thumbcuffs, they give those on opposable lockdown a little too much freedom and range of motion. 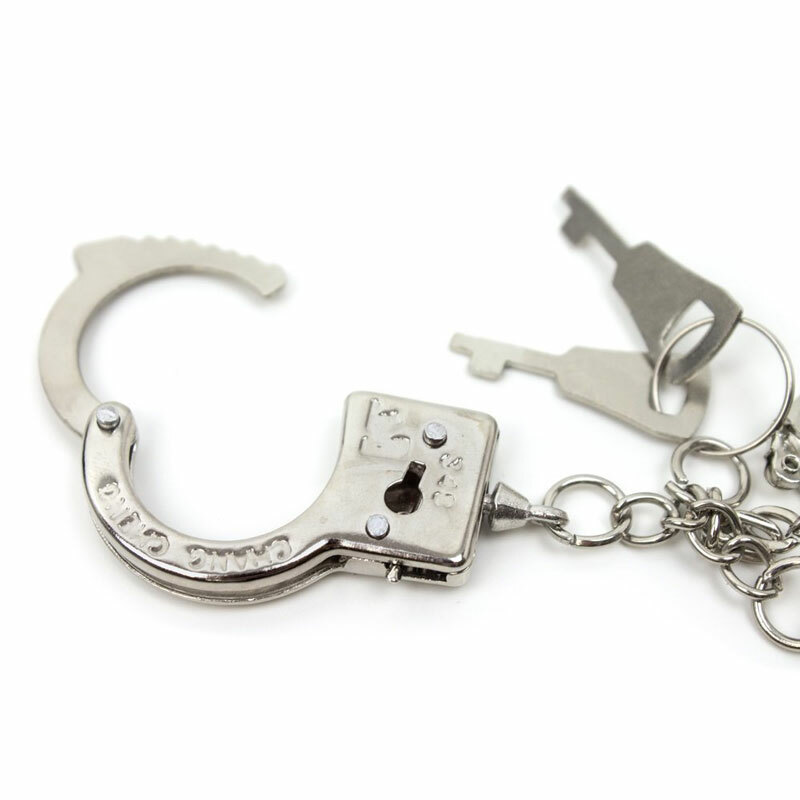 The upside is that the keychain, while loaded with working cuffs and keys, is intended only as a novelty restraint, not a criminal one - the cuffs look like metal, but they're actually made of hard plastic. Thumbcuff keychains also come in a pack of 12, so they're perfect gifts for a party. Especially if you're having that kind of party.